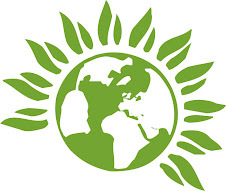 Haringey Green Party Blog: Solutions after the riots – what now ? 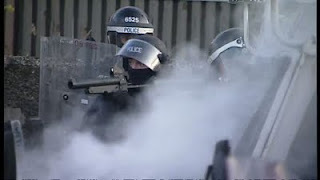 The aftermath of the riots has seen Cameron authorise use of water cannon and plastic bullets, and an alarming public endorsement of these measures notably by 90% of the sample in one opinion poll. Most people probably think water cannon just make a crowd unpleasantly wet. Actually, the water comes at a force which can knock you over – or even blind you, if a jet hits you in the eye. If you can bear it, see a photo here of someone blinded in Germany when struck by a water cannon in the face. This weapon is indiscriminate, potentially hitting bystanders and people trying to escape from the scene as well as rioters. Early in this debate, the Green Party called for rejection of water cannon and Jenny Jones’ statement on the web site can be found here. Rubber and plastic bullets or ‘baton rounds’ have caused around 17 deaths, and some blindings, in Northern Ireland. Children are particularly vulnerable to both, and again, innocent bystanders have been amongst the victims, for example a middle aged woman looking out of a window. There are calls not just for lethal weaponry against teenagers, but for collective punishment of their families. Wandsworth Council already began eviction proceedings against the mother of a ‘rioter’ – but he had not even been convicted, merely charged! Homelessness is likely to drive people further into crime and joblessness. No-one doubts that theft and arson deserve to be punished. But in courts sitting through the night, with both magistrates and lawyers reported last week to be falling asleep ? What kind of ‘fair trial’ is that ? There are calls from Duncan Smith and his ilk for daily persecution of ‘gang members’ by tax authorities, job centre, DVLA, etc. No doubt this would exacerbate the situation and punish the innocent along with the guilty, just like the excessive use of stop and search powers which are one of the main grievances which youth, especially black and Asian youth, have against the police. Indeed the riots in Mare Street and in the Kingsland Road are said to have been provoked at least partly by street searches last weekend. ‘Tensions created by incessant stop and search operations and aggressive policing have undeniably contributed to the conditions which have led to widespread rioting. Young men from working class communities, especially black communities, have consistently taken the brunt of the ‘harassment style policing’ implemented by the Labour party and continued under the present government. How could that happen if police numbers are cut ? Police have already been working up to 20 hours and more without sleep in the last week. That’s hardly conducive to good decision-making or good tempers, let alone fair working conditions. Cuts in police numbers will also make ‘capital intensive’ solutions like more weaponry seem inevitable. Against the gross injustice of firing first against Mark Duggan and the attack on a 16 year old woman outside Tottenham Police Station, must be set the police mindfulness of Ian Tomlinson’s death and that fact that so far, neither riot control weapons nor horse charges were used. Cameron seems intent on reversing the better parts of recent police tactics. The University and College Union, with Labour MPs Jeremy Corbyn and John McDonnell, have called for reinstatement of youth services and the Educational Maintenance Allowance, a large increase in JSA, and repeal of the ‘stop and search’ laws, as measures to tackle some of the root causes of the riots. Their petition to the government can be signed here. ‘The police killing of Mark Duggan…is not an isolated incident. Violence in custody, predominantly against black people, is routine….Stop and search is used as a daily form of humiliation. Police brutality against demonstrations and any form of political dissidence has increased. So these people’s pay rise alone would halve the public sector deficit and allow most of the ‘cuts’ to be reversed. Why is nobody but the Green Party and the far left calling for a serious tax hike on the super-rich ? We all want justice – against obscene inequality, against thieves and arsonists, for proper compensation of residents and businesses, especially small ones, who suffered in the riots. Long prison sentences for rioters will benefit mainly the private prisons industry – they will introduce those convicted to the university of crime, but not rebuild homes or shops or give people their property back. Long community service orders could be used to help rebuild and clean up. And if the police can offer an amnesty for knives as they did in 2006, which resulted in 100,000 being handed in over five weeks, why not an amnesty for goods stolen in the riots ? Or for guns ? Last but not least, sale of guns, including air pistols and replicas (like the one Mark Duggan converted) should be absolutely banned. Mark Duggan was quite possibly on his way to settle a score and get some respeck, with his gun in a sock. Add to this the fact that his uncle is thought to be responsible for up to 25 unsolved murders and you begin to see why the police don't politely ask these tossers if they'd mind awfully letting them know where they're going. In Tottenham, they are saying that he was carrying a gun cos he worried about being attacked (not by the police). Why do we have to wait until December for the IPCC report? It could be done much quicker than that, but they want to put some distance between the event and the truth. In effect he was murdered, but police never get charged with murder when they kill members of the public. Imagine if it was the other way around.